Having a tidy house is everyone’s dream. 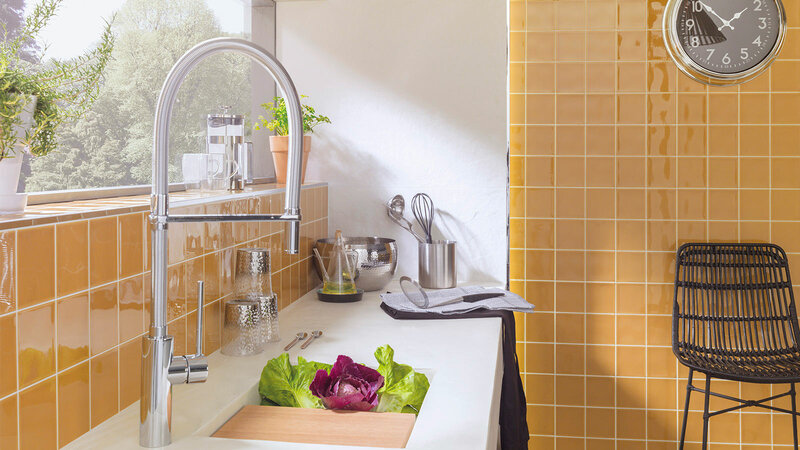 Whether a single person household or a numerous family, the desire to have a neat and ordered home is a universal aspiration. Adequate storage is fundamental to realising the dream of a clutter free household. Perhaps the room that is most important to get right when it comes to storage is the bedroom. This is the place where we start and finish the day, as well as the place where we prepare ourselves to face its daily opportunities and challenges. Nowadays there are even coaches and wardrobe storage organisers who can help de-clutter your life. 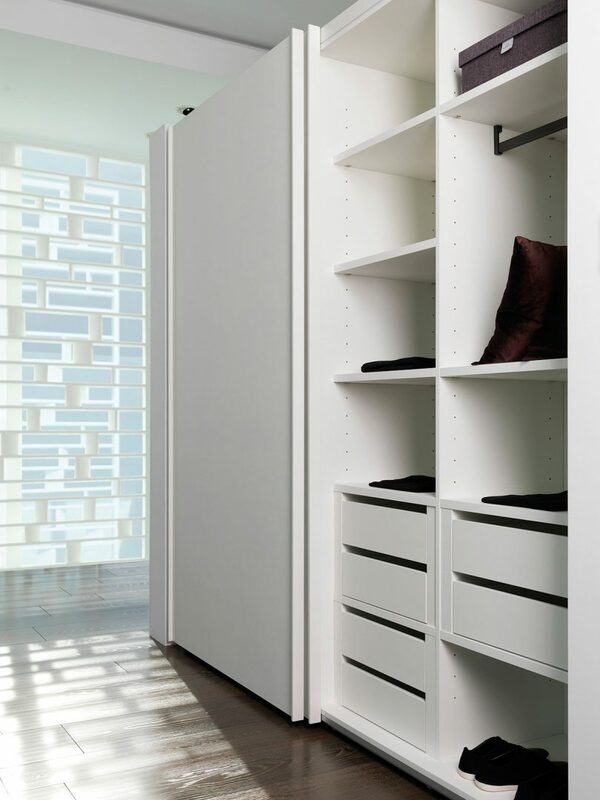 But before you employ a storage consultant here below we offer you a few tips and suggestions to achieving an orderly bedroom through the right wardrobe storage. The closet or the wardrobe is a key storage element in the bedroom, but not the only one (the bedside locker or table and blanket chest also accommodate sleep related paraphernalia). 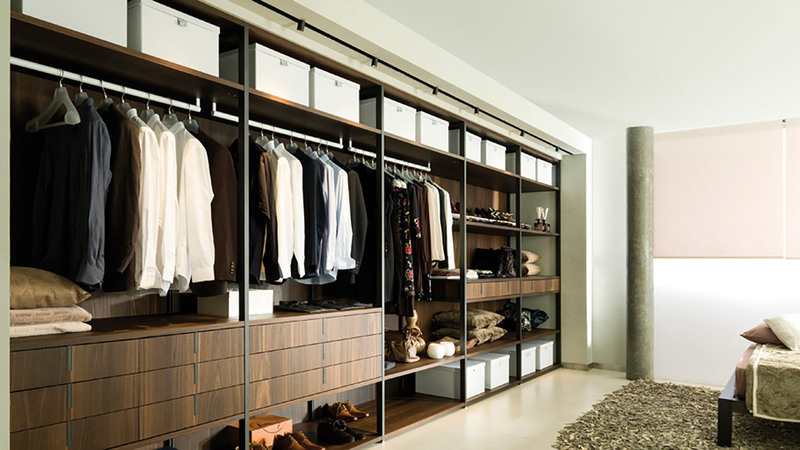 The most popular types of closet are the walk-in and the fitted wardrobe. Nowadays the free standing wardrobe is more likely to be a period piece or an antique. 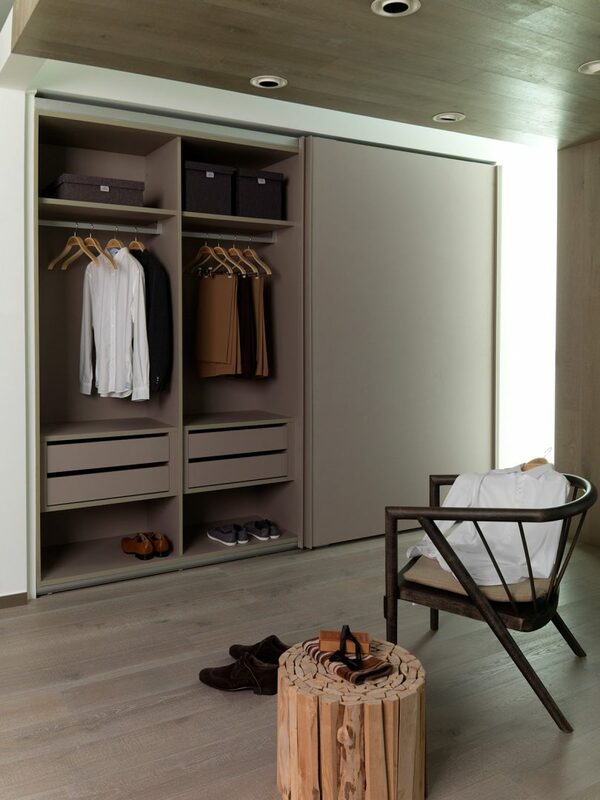 The potential for walk-in wardrobe storage depends on the space available, for anyone who can incorporate a separate area, directly off the bedroom ideally, a walk-in closet provides a number of advantages in terms of avoiding clutter. Firstly because it’s a separate room and secondly because it can take up spaces in a floor plan that are not suitable to other uses. Not having a window for example in the walk-in closet is an advantage, especially if the shelves and rails are open. 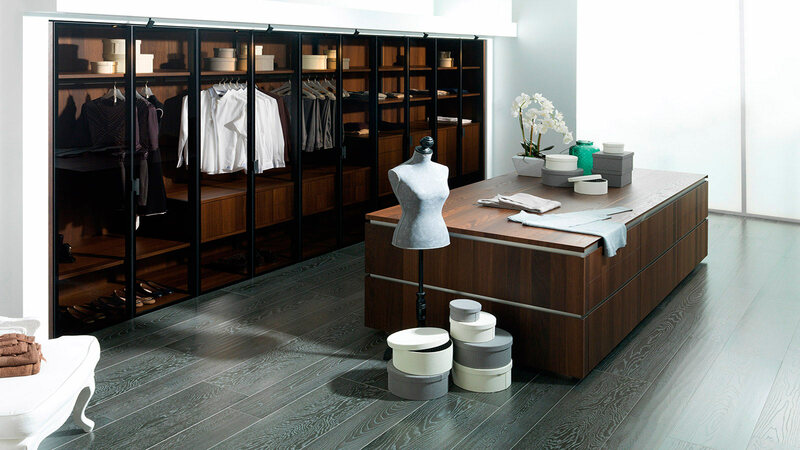 Clothes are less likely to suffer damage and a good fitting door is important to avoid dust collection. 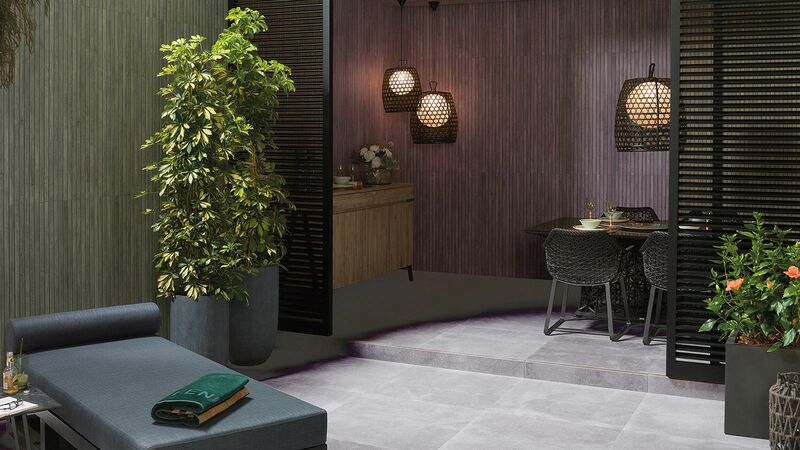 The layout will depend on individual tastes but it will be important to include a full length mirror and good artificial lighting. Like the fitted kitchen the fitted wardrobe is a phenomenon of the 20th Century, with the advent of industrialisation in the home over the latter part of the last century the fitted wardrobe became ubiquitous. 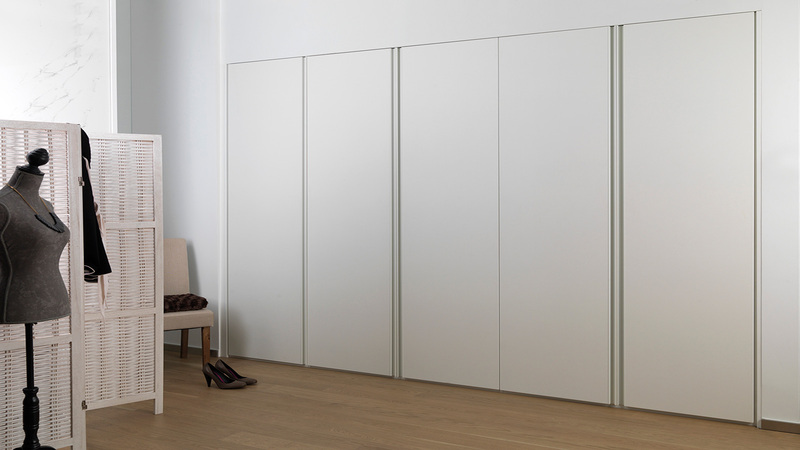 The fitted wardrobe takes up the space available in the bedroom for storage, ideally between one wall and another or an entire alcove. 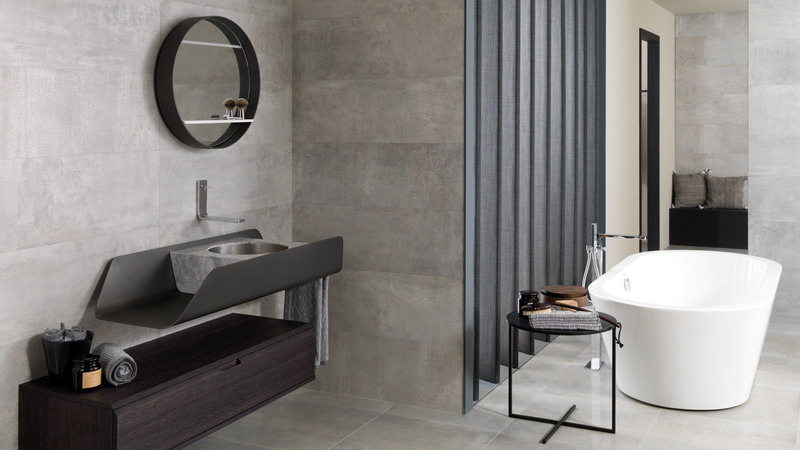 It comes with wardrobe storage systems that allow a range of options, are flexible and can be easily adapted. 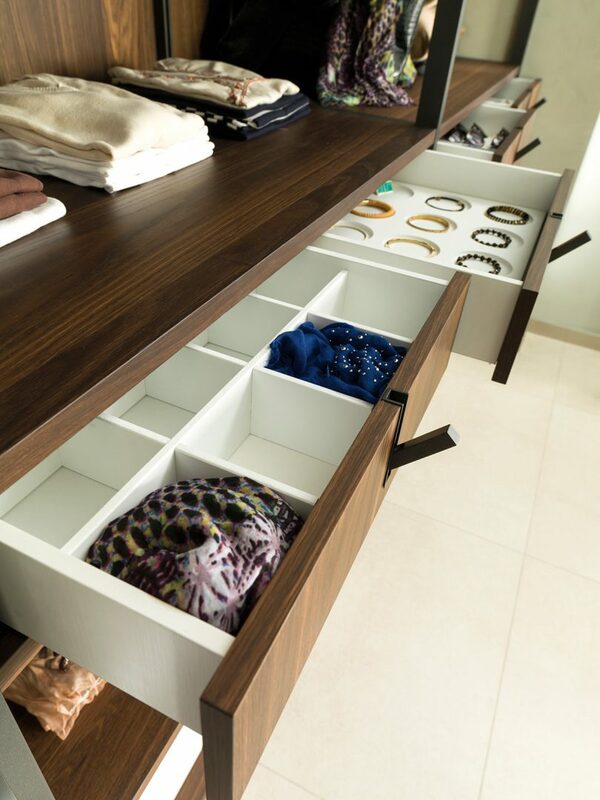 Built in wardrobe storage ideas include trays, racks, shevles, hangars, drawers etc. they are arranged to suit each individual case. Again this depends on the space available, if the ceilings are high special storage units with pull down handles can be incorporated for top of wardrobe storage. The standard approach for organising the wardrobe is to include hanging space, pull out storage drawers as well as lower level shoe racks. This more or less corresponds to the place on the body where clothes and other items are worn. 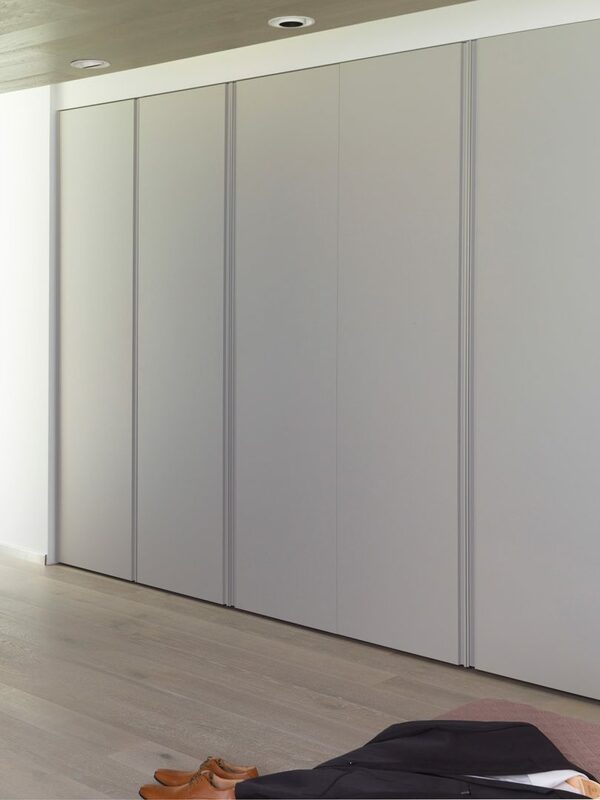 Wardrobe storage systems should always put the emphasis on the items that we use on a daily basis, making them easily accessible. While articles less frequently used can be is less accessible positions. Unlike our predecessors today we tend to have a lot more clothes, accessories, shoes etc. so having a methodical and ordered storage system is more important than ever before. 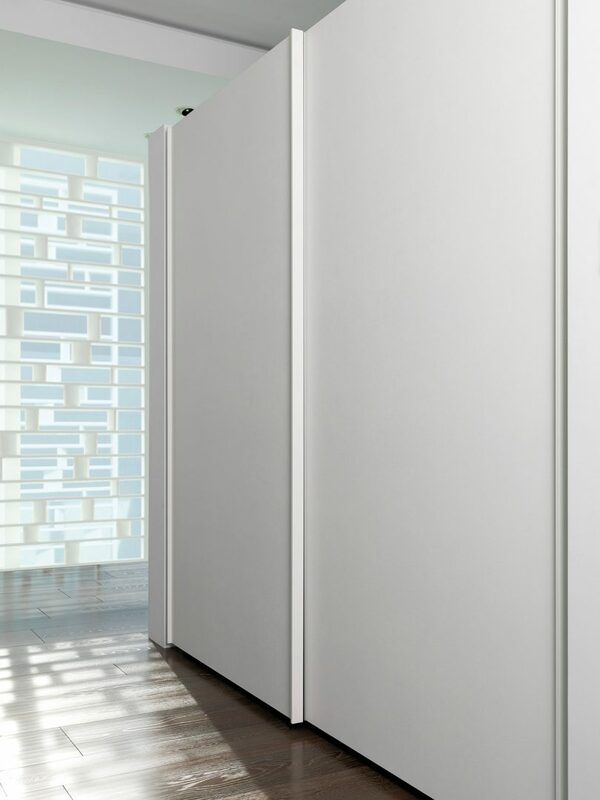 The wardrobe can be much more than simply an attractive piece of furniture or additional room. Life is better when everything is in its place.